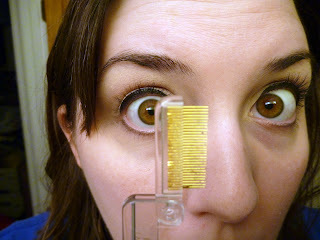 This was my more intimidating looking product to try in my Bloom Ambassador box: The iLash Comb from Tweezerman. 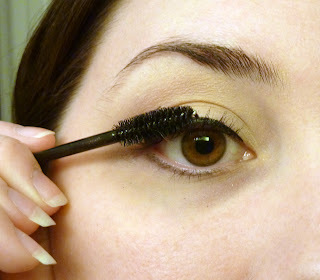 Those little prongs are just as sharp as they look and I have been known to accidentally blink while ruffling out my lashes before, so you can understand my concern. But I still wanted to give it a good try so I applied my mascara like normal and then used the comb to separate my lashes. I have to say it did a good job as separating. 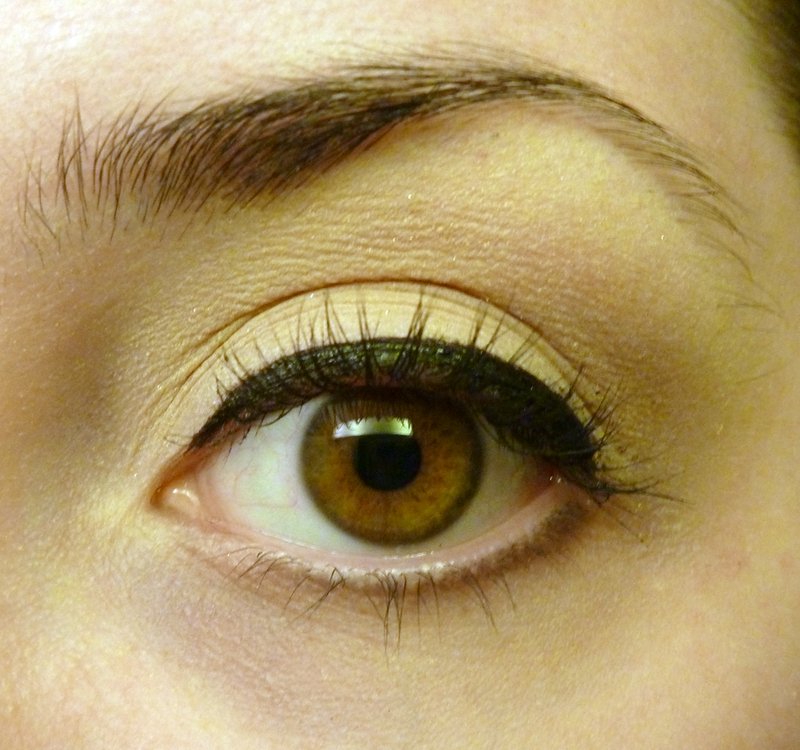 My lashes weren't clumpy, but I won't use mascara that clumps so this was mostly just to fan them out a bit. I wanted to compare to the way I usually fluff out my lashes on my other eye. My favorite eye lash fluffing/separating tool is ... a dry mascara applicator. I always grab a couple if I go to stores like Sephora or Ulta and I can use the same one for months :) So I just applied my mascara and then fluffed with my usual brush. It's a fairly close comparison, but I have to admit that the eye with the Tweezerman comb looks more separated. 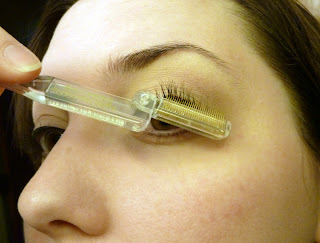 Also, the comb folds so when you are done you don't have to worry about catching it on everything in your makeup bag. Go here to grab this product for yourself! 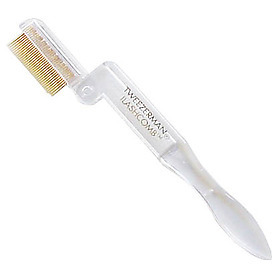 *I received the Tweezerman iLash Comb for free to facilitate my review, but all opinions expressed are 100% my own.